People across Canada can actually get help to avoid the fees, high interest, and payments of expensive bad credit personal loans. Why do you need a bad credit personal loan? 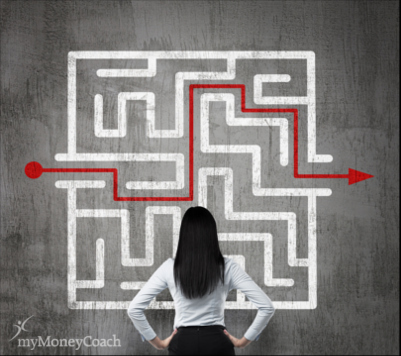 Depending on your answer, you may actually have other options that can resolve your debt problems, re-establish your credit, and get your finances back on track. This is for an emergency. Your vehicle needs to be repaired, you have an unexpected dentist bill, your pet needs to see the vet, you have to travel to see a sick relative, or something else along these lines. You are looking to rebuild your credit or increase your credit score. You're wanting just one loan with one monthly payment. You’re hoping to find a more manageable payment by paying off your debt over a longer period of time, or your current interest rates are just too high. When you have bad credit, loans are difficult to get regardless of where you live in Canada. So what should you do if you really need money? Maybe your credit cards are maxed out, your rent or mortgage payment is past due, and you need to pay your household bills. You may be trying to get any kind of online loan you can find, and you may be even contemplating payday loans. But in the back of your mind, you're honestly wondering how much these are really going to help you. The truth probably is that you've gone through a rough patch recently, you feel like you're out of options, and you really don’t know of a better way to handle things right now other than to try and get a loan for bad credit. So below we explain some steps you can take to try and get a loan in Canada when you’re saddled with a bad credit rating. However, if you would much rather find another way of dealing with your debts (one that's very often far more effective), jump down to the last section in this article. Why do Bad Credit Personal Loans Have High Fees and Interests Rates? The first thing you need to be aware of with bad credit personal loans is that they are very expensive. The reason for this is due to the fact that people with poor credit default on their loan payments far more often than those with good credit. So lenders view anyone with poor credit as a big risk. Because of this, they charge high interest rates and upfront fees to compensate for their higher losses and to ensure they get the most out of someone before they default on their payments. This may not be fair, but that's often the way it's done. Will a Personal Loan Fix My Poor Credit Rating? You also need to be aware that obtaining a bad credit personal loan - be it secured or unsecured - won't repair your payment history. Your credit rating didn't fall overnight. It took time, and it will take even more time for it to go back up again. A new loan won't magically fix the problem; however, managing your money better - over time - will improve your poor credit rating. That's one of the good things about Canada's credit rating system - it recognizes that bad things happen to good people. So it's possible to repair your credit without using personal loans with high bad credit interest rates and fees. Related: How to Repair Your Credit Score and Improve Bad Credit. When you approach lenders for a bad credit loan, come prepared with your financial information. They will want to know how much you earn each month from all sources, if you have any assets that you could give (pledge) as security (collateral), and what your monthly expenses are. You should also be able to answer any questions they might have about your poor credit and debts. To prove your income: gather your pay stubs, alimony or child support records, government assistance payment details, bank account statements and/or tax returns with assessment notices. If you have assets: create a list or make a mental note of the items you own and the value of each one. It’s really the big things that matter here, like cars, trucks, RVs, boats, motorcycles, ATVs, trailers, and other vehicles or items that can be easily appraised. Coin or stamp collections, jewellery, antiques and other heirlooms can only be used as collateral for a loan if they have been authenticated and valued with a verifiable appraisal certificate. Musical instruments, tools, electronics and other high priced household goods can be consigned at pawn shops or sold but usually cannot be used to get a loan. However, there are some high interest lenders who will ask you to pledge all your household goods or appliances as token security for a loan. Work out your monthly expenses and debts: this is often the most difficult part for a lot of people. When you begin jotting them all down, you realize how much you spend and how much you actually owe. Start by writing down your housing expenses and utility bills. Then jot down what you spend on groceries, food, medication and other essential things. Make sure to include transportation costs and work-related expenses as well. If you find it a bit challenging to organize your expenses and remember all the different things you spend money on, this free budgeting calculator spreadsheet might really help. You can also learn a lot more about how to create a budget or spending plan in the budgeting section of our website. To find answers to questions about your credit report: take a look at your own. You can get a free copy from both TransUnion and Equifax if you request it over the phone. Here are instructions on how to get your credit report for free, and here you can learn how your report is created and the difference between your credit report and your credit score. Trying to get the money you need by shopping around for bad credit loans in Canada takes a lot of time and patience. At the end of the day, there’s no guarantee that when you find someone who will lend you the money, that they will offer you a loan with terms and conditions you can afford. It's likely that you already kind of know this. So if you really want something that's going to solve your debt and money problems, here is the single best thing you can do: call a local non-profit credit counselling service and book an appointment to discuss your situation with one of their Credit Counsellors. Appointments with non-profit Credit Counsellors are usually free of charge, completely confidential, and can happen either in person or over the phone. These guys are typically experts in everything that relates to bad credit loans, consolidating, and dealing with debt. They help people explore all their options - including debt relief and consolidation options that most are unaware of. Having a conversation like this could quite possibly be the best thing you've done in years and can make a world of difference in helping you get your finances back on the right track as soon as possible. Do you know how your credit score is created? We offer more than a dozen free online workshops to help you improve your money skills and your credit.